The rent at Finding available apartment homes in Memphis, TN has never been easier. Apartments ranges from $600 for a one bedroom to a $760 two bedroom. Apartments in this building are about 9% more expensive than the Autumn Ridge average. This is a pet-friendly apartment. This apartment is in the Autumn Ridge neighborhood in Memphis. Finding available apartment homes in Memphis, TN has never been easier. Apartments has a Walk Score of 39 out of 100. This location is a Car-Dependent neighborhood so most errands require a car. Finding available apartment homes in Memphis, TN has never been easier. 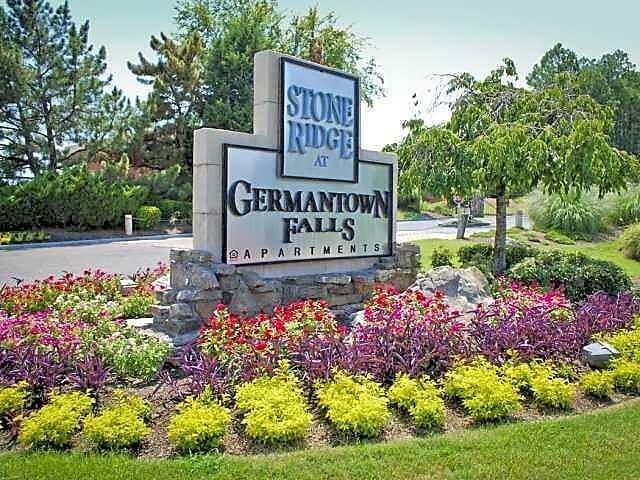 Stone Ridge at Germantown Falls is conveniently located near major freeways, local shopping centers and dining venues. Come discover the luxury, comfort and lifestyle you prefer at Stone Ridge at Germantown Falls. * Stone Ridge at Germantown Falls is an uniquely designed apartment home community with luxury and convenience at every corner. Choose from our one or two-bedroom apartment floor plans designed to suit any individual lifestyle. Each apartment home features an all-electric kitchen, breakfast bar, plush wall-to-wall carpeting, spacious walk-in closets, vaulted ceilings, sun-rooms and more! * Tour our photo gallery and see for yourself why Stone Ridge at Germantown Falls apartments are the perfect place to call home. * *Promotional pricing only applies to new renters. New renters are people who have not lived in the community in the last 6 months. For renewal prices please see leasing consultant. Explore how far you can travel by car, bus, bike and foot from Finding available apartment homes in Memphis, TN has never been easier. Apartments. View all Autumn Ridge apartments on a map. Finding available apartment homes in Memphis, TN has never been easier. Apartments is in the Autumn Ridge neighborhood. Autumn Ridge is the 56th most walkable neighborhood in Memphis with a neighborhood Walk Score of 39.